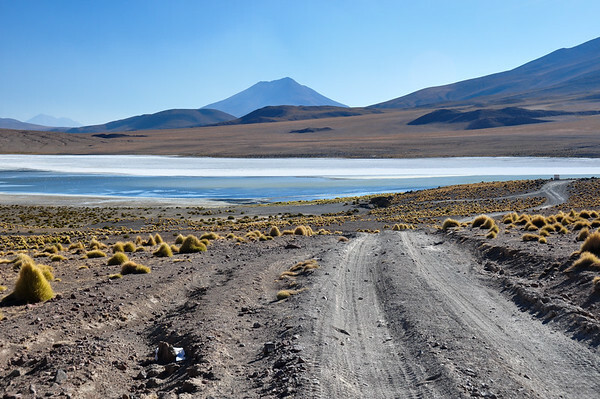 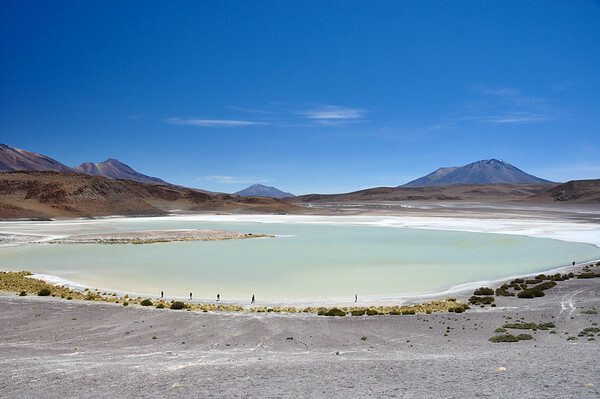 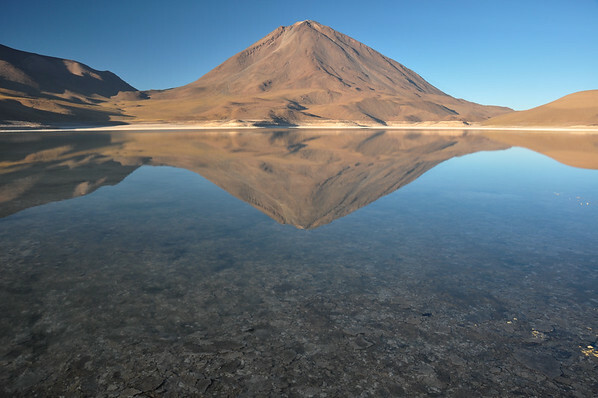 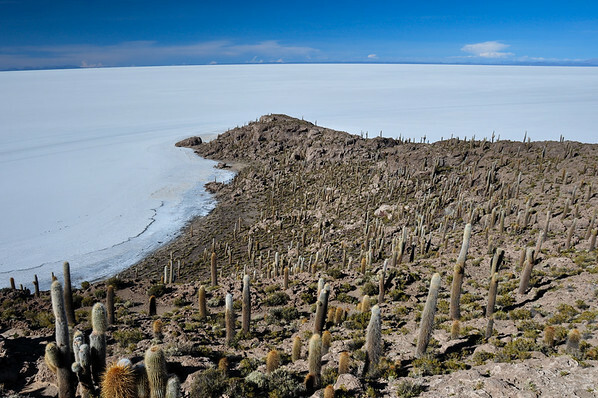 Beautiful, undulating, free, introverted, true, incredible, enigmatic ... Bolivia! 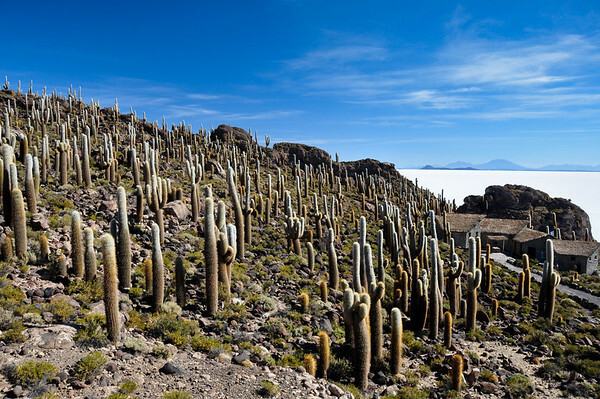 Discover Copacabana bordered by the Titicaca lake and it's "Isla del Sol", La Paz, Potosi with his mining stories, the Salar de Uyuni as far as one can see white grounds and some of the most beautiful and purest sceneries one can see in the desert of Sur Lipez in the Eduardo Avaroa national reserve, including thermal zones, special rocks formation, pink flamingos, some red, blue & emerald lakes, a volcano 6000 meters of altitude and much more! 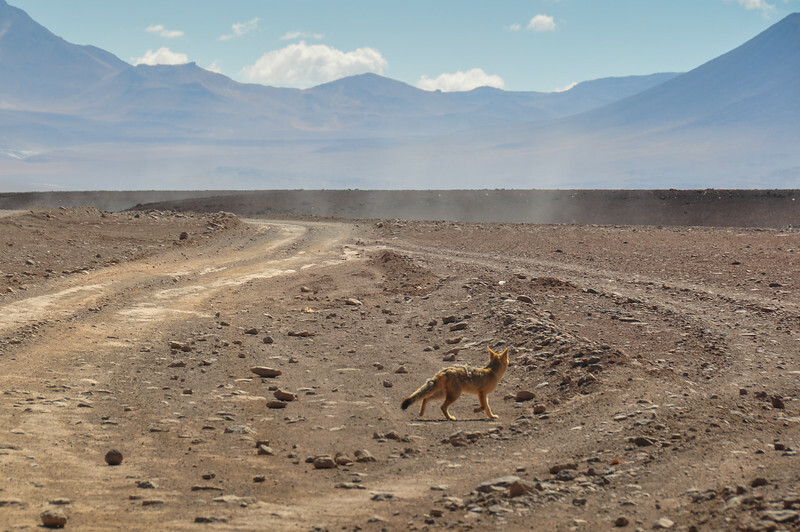 Desert Fox in Sur Lipez, South Bolivia. 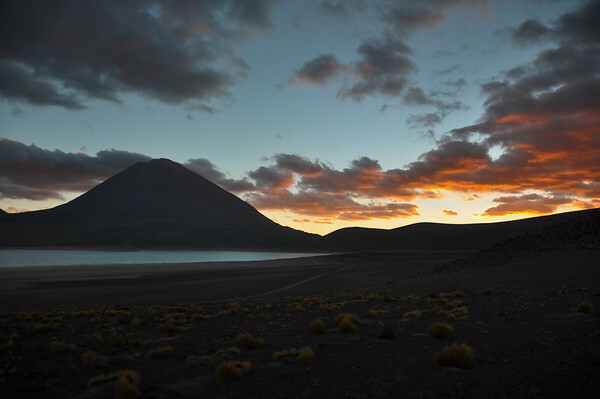 Volcan Licancabur with Gorgeous landscapes of Sur Lipez, South Bolivia. 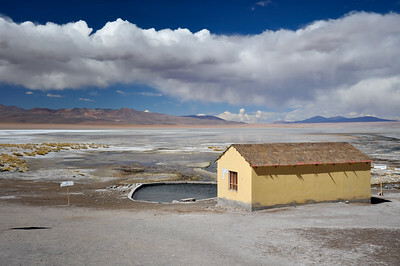 Isolated Thermal station in Sur Lipez, South Bolivia. 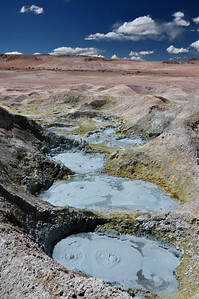 Mudpools in Geysers Sol Manana, Sur Lipez, South Bolivia. 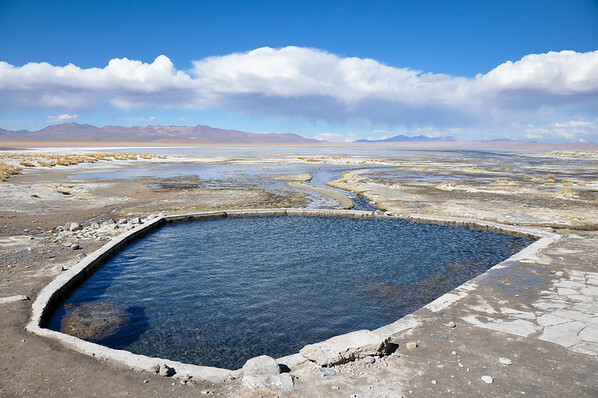 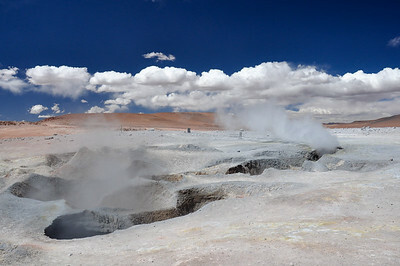 Geysers Sol Manana, Sur Lipez, South Bolivia. 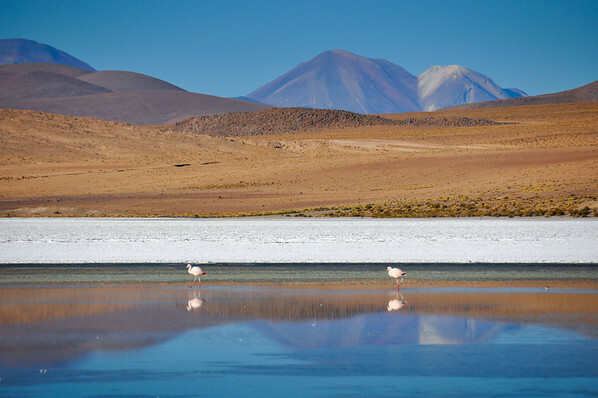 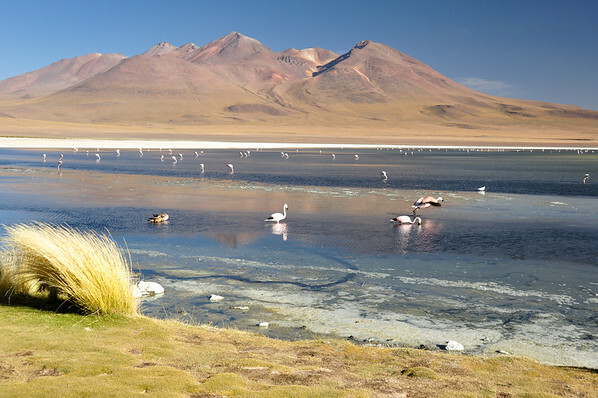 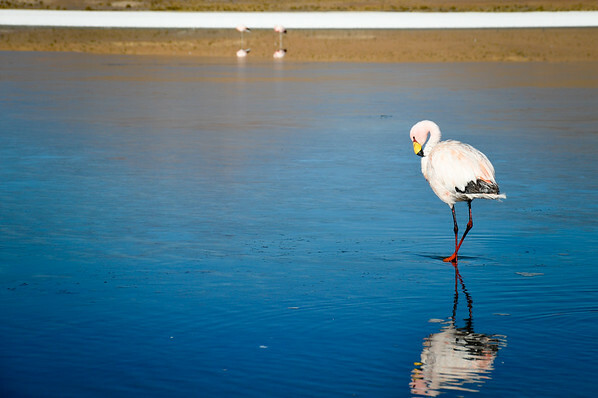 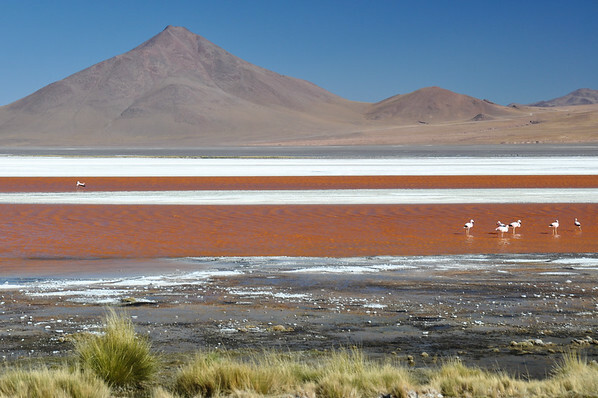 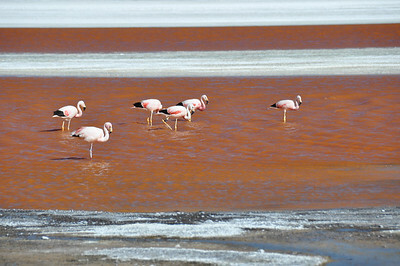 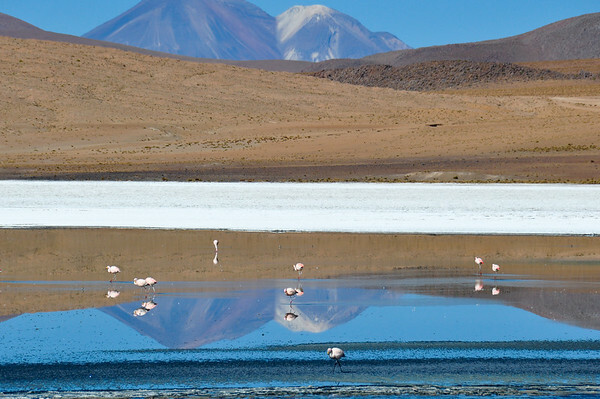 Flamencos in Laguna Colorada, Sur Lipez, South Bolivia. 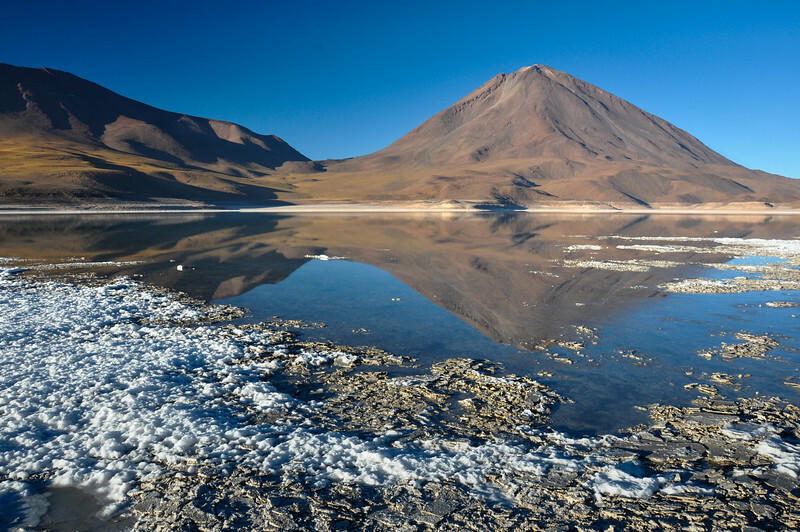 Laguna Colorada, Sur Lipez, South Bolivia. 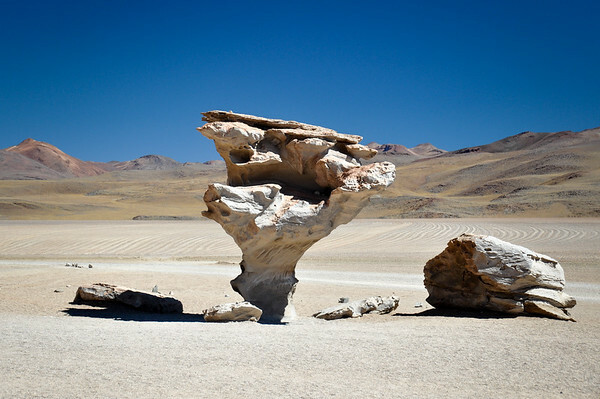 Piedra del Arbol, Sur Lipez, South Bolivia. 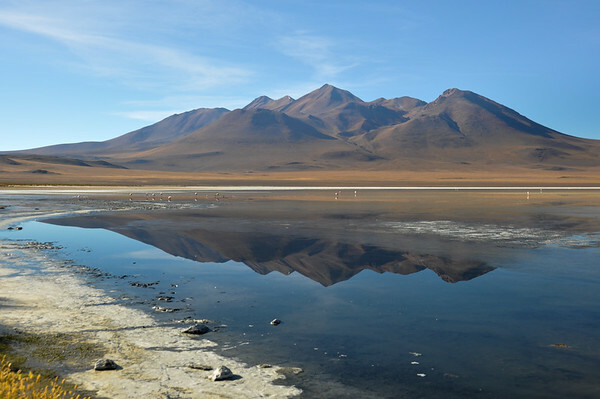 Gorgeous landscapes of Sur Lipez, South Bolivia. 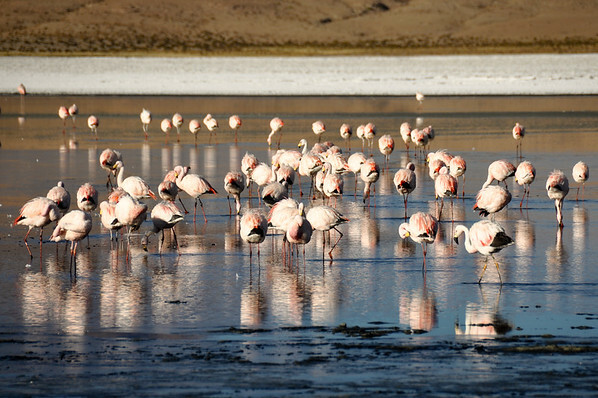 Flamencos in Sur Lipez, Bolivia. 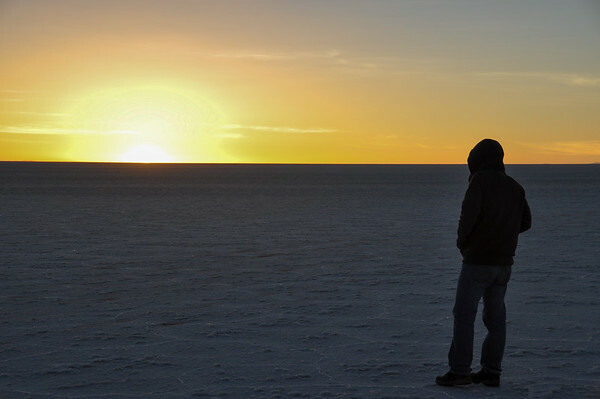 Man starring at the sunset in Salar de Uyuni, Bolivia. 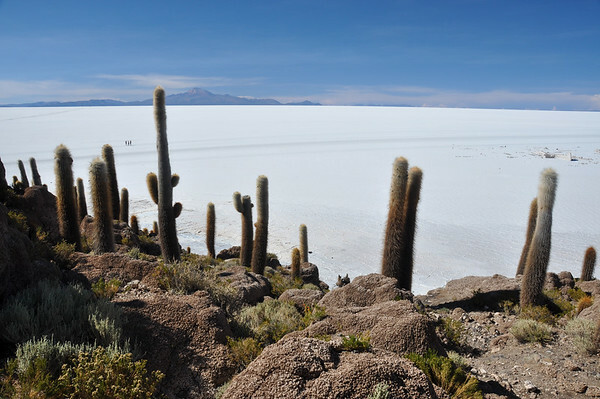 Wonderful Salar de Uyuni, Bolivia. 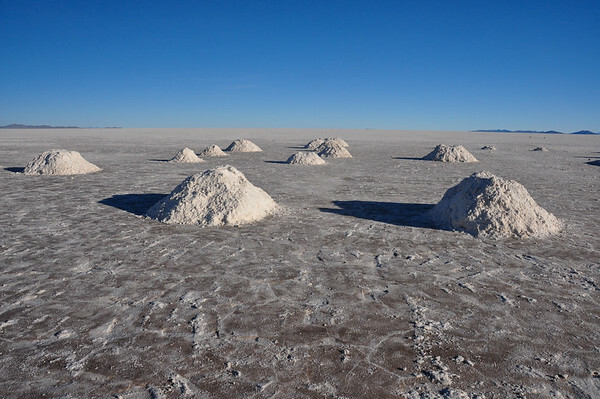 Isla Incahuasi (Pescadores), Salar de Uyuni, Bolivia.